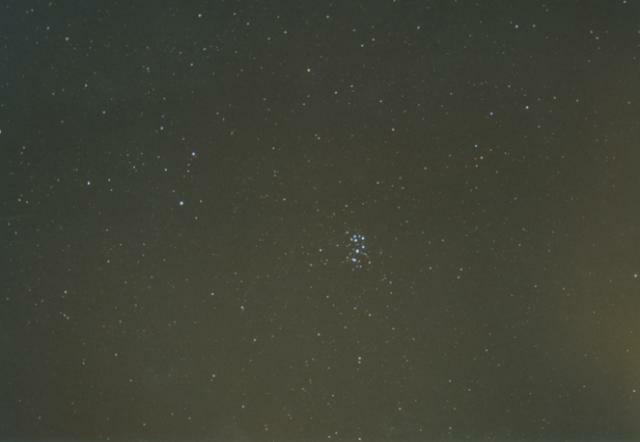 The cluster of stars right center of the image is known as The Pleiades Star Cluster, also known as the Seven Sisters, is an open star cluster that lies about 410 light years from Earth. a total area 40 light years across. The Pleiades are mentioned in just about all cultures of the world, but are best know in Greek Mythology.